To kick off our celebration week, students may dress down. We will also begin our two, week- long service projects. Students will bring in coins and dollars for our annual Pennies for People collection to benefit Sojourners and WV Kids Cancer Crusaders. This year we will also be collecting new and gently used books throughout the week to benefit RISE (Read Inspire Support Encourage), a cooperative between schools and children’s hospitals that provides books for hospitalized children. We will conclude our day with a prayer service. The faculty and staff will enjoy a delicious luncheon graciously provided by our PVA. Thank you! Teachers will also participate in the book drive and will share their favorite book with their class before donating the book to RISE. Tuesday evening is also our OPEN HOUSE for prospective parents. This is a Red, White, and Blue Dress Down Day! During Cultural Explorations class, students will participate in a project to explore the diverse groups that make up our amazing country! We will conclude our day with a Patriotic Sing Along. “My Favorite!” Dress Down Day. As we celebrate our students, each student is invited to dress down in clothing that shows something that is their favorite: a team, a school, a book, a place to visit, etc. 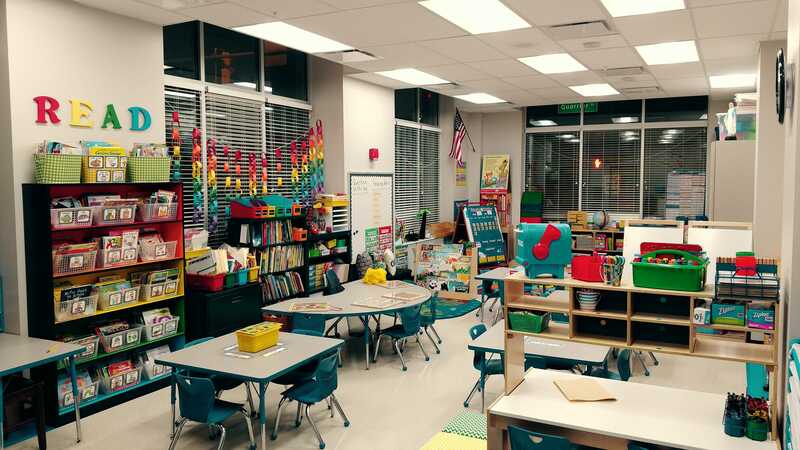 Each classroom will enjoy Board Games, Books, and Puzzles & Buddies time and are invited to bring their favorite board games, puzzle books, or book to share during free time with friends. No electronic games are permitted. Lunchtime will be pizza, ice cream, and music! Our day will begin with an All-School Mas at 8:00 a.m. We hope you can join us! Students will also participate in a variety of activities to learn more about and show appreciation for vocations. SHGS students created a collaborative mural with Mrs. Price during their time in the Reading Center in preparation for Catholic Schools Week. Please join us for our informational Open House on January 31 from 6:00-7:00 p.m.! We celebrate the Paschal Mystery in its entirety. CLAY COUNTY FOOD DRIVE THANK YOU! Thank you for your support of the Clay County Food Drive! SHGS students, parents, and teachers filled 188 boxes with food to be delivered to Clay County families. What a wonderful way to begin the Advent season. 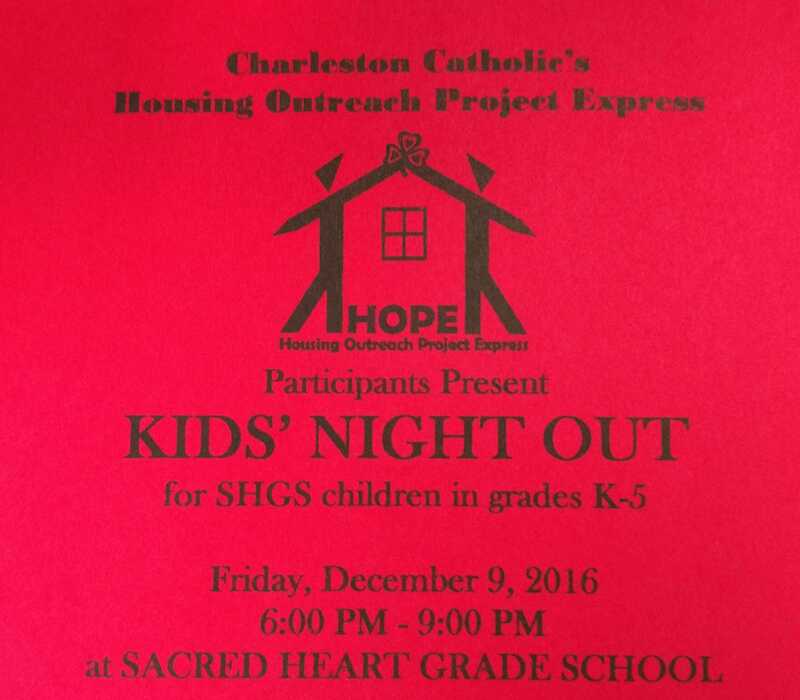 Please join us for Kids’ Night Out to benefit Charleston Catholic’s Housing Outreach Project Express (HOPE). Preregistration is required. Forms are due to the SHGS office by 12/5. HOPE is a community service project sponsored by CCHS. HOPE has the dual purpose of improving the quality of housing for low income families and seniors in Clay County and instilling the habit of service in students, a commitment to living the works of mercy. Each summer, members of the junior and seniors class, along with alumni, teachers, and other CCHS community members travel to Clay County to make homes drier, warmer, and safer. 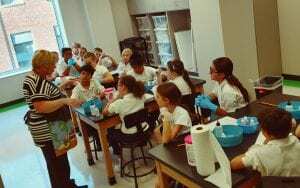 Charleston Catholic High School has been involved in home renovation projects for disadvantaged families in West Virginia for 25 years. 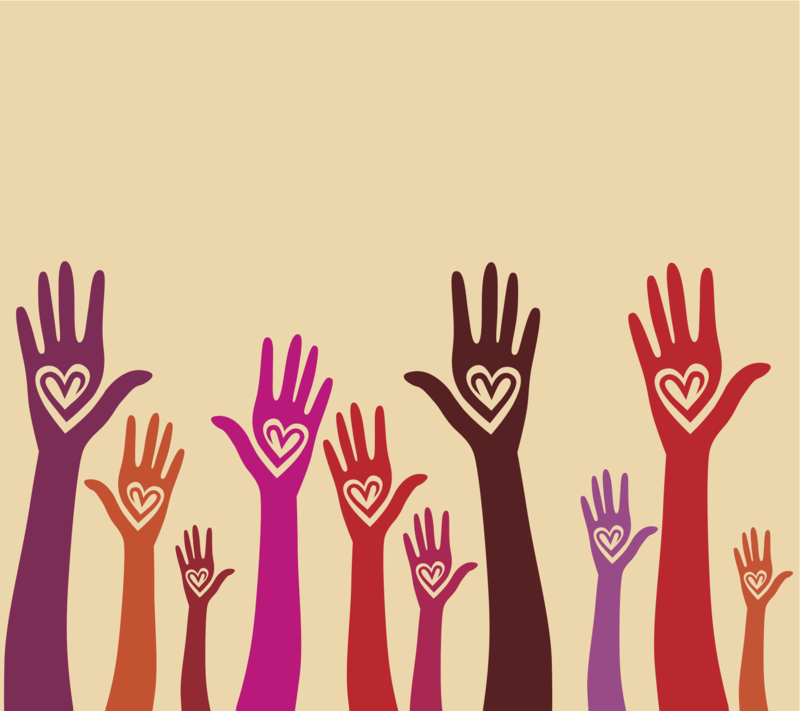 For the past 10 years, HOPE volunteers have focused their efforts in Clay County. 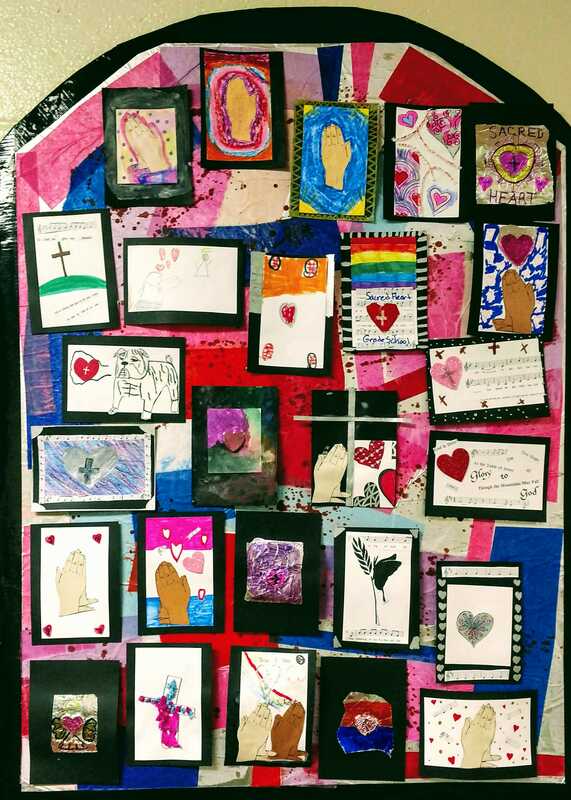 Sacred Heart Grade School provides support to these families by participating in the Clay County Food Drive and other fund raising opportunities for HOPE, such as HOPE T-shirt sales and Kids’ Night Out. 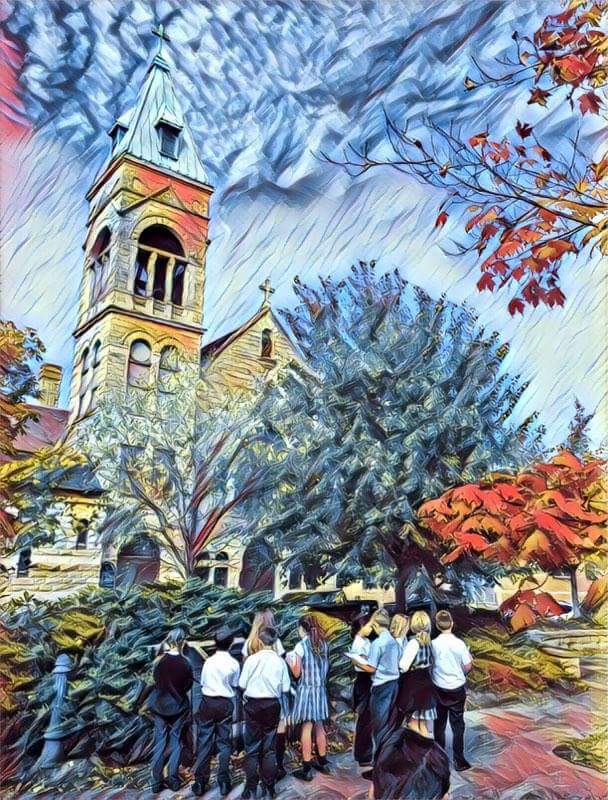 Students at Sacred Heart Grade School celebrated the sesquicentennial of Sacred Heart Parish with church tours, a scavenger hunt, a presentation by Father Brian, art activities, and the creation of a time capsule to be opened in 25 years by SHGS students. 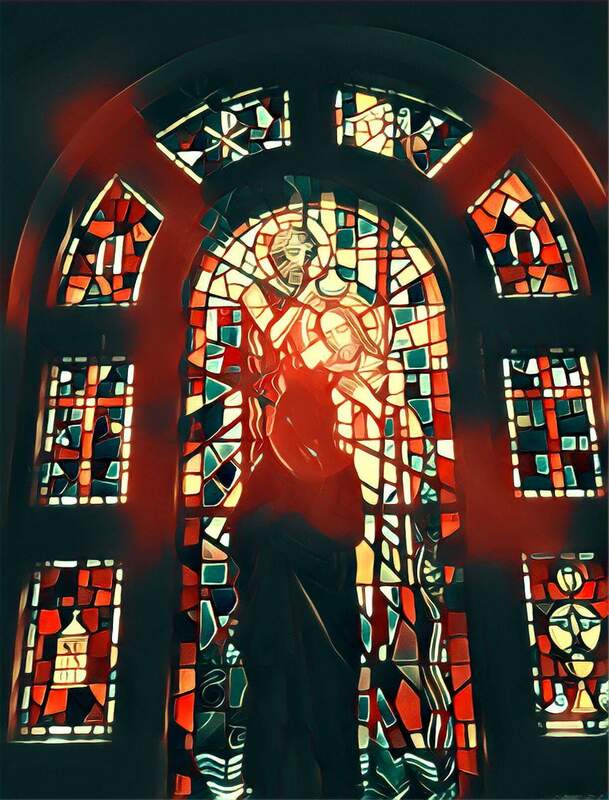 Congratulations on your 150th anniversary, Sacred Heart Parish! 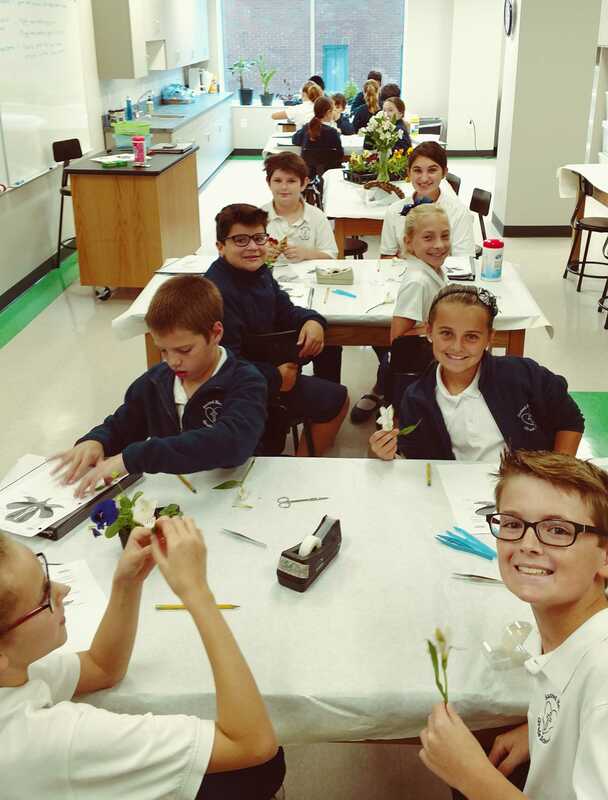 5th graders hard at work in the new science lab! Monday, October 17 was opening day for our new ECE and Pre-K classrooms! Our first nine weeks will end on Friday, October 21, with report cards going home the following Friday, October 28. Parent Teacher conferences for grades K-5 will be held on Thursday, November 3 from 8:00 a.m. until 7:00 p.m. 5th graders will have an early dismissal on Wednesday, November 2 at 1:00 to allow for additional 5th grade conferences on November 2 from 2:00-7:00. Conferences for ECE and Pre-K classes will be held in January. Therefore our ECE and Pre-K classes will be held as normal on November 3. Parents may begin calling the school office to schedule conferences on October 24 at 9:00 a.m.